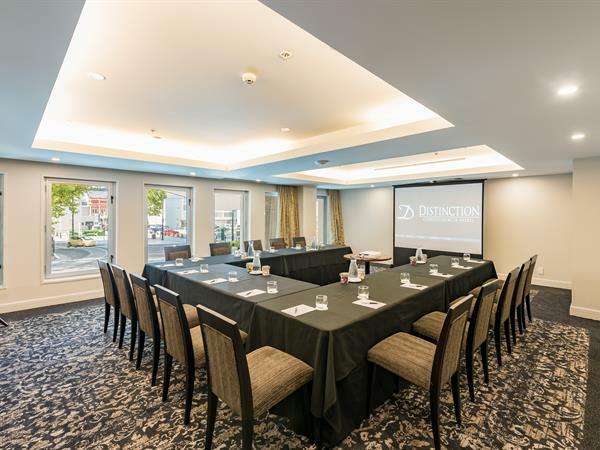 Distinction Christchurch Hotel is located in the heart of Christchurch and boasts a beautiful city setting, where your delegates can relax in the Square for morning/afternoon tea or lunch. Our proximity to Christchurch's top attractions including the Avon River, Christchurch Tram, Botanical Gardens, Christchurch Casino and Cashel Mall make us the ideal Christchurch conference venue. Our luxury hotel boasts three separate on-site conference rooms. The Cathedral North Room has a great view of the Square and plenty of natural light. The Cathedral South Room is the perfect intimate enclave for a workshop and training session, whilst the Worcester Meeting Room is great for smaller meetings and conferences, with large windows that overlook Christchurch city. The Cathedral North and South Rooms can be combined to create a larger space to comfortably cater for up to 150 delegates. The 4.5 star Distinction Christchurch Hotel also presents 179 elegant, air-conditioned hotel rooms including 3 floors of brand new Superior Rooms and Suites. Our rooms are designed to suit everyone from business travelers requiring spacious, contemporary accommodation out-fitted with the latest technology and travelers seeking a place to relax and unwind after a day exploring Canterbury’s vibrant attractions. Distinction Hotels are 100% New Zealand owned and operated, so our manner is down-to-earth and completely focused on your needs. With your own experienced Conference Specialist, dedicated team, a great selection of food and beverages, comprehensive AV equipment and FREE unlimited WiFi throughout the hotel & conference rooms, you can be assured that everything will be taken care of and we will put together an unforgettable conference for your delegates. Scroll down to discover more details about our flexible Christchurch function venues or contact our Conference Specialist for more information about hosting your meeting, conference or event in Christchurch - phone: +64 3 377 7000 or FANDB@distinctionchristchurch.co.nz. 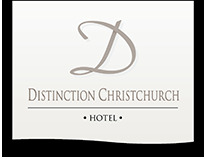 Distinction CHRISTCHURCH offers 3 exceptional function venues. From a large 184m² space, for up to 150 delegates that overlooks Cathedral Square to more intimate enclaves, ideal for smaller meetings & workshops. Our comprehensive catering options will delight any palate. Let our experienced Conference Specialist tend to every detail to ensure your guests are well taken care of. With its central city location and 3 versatile conference rooms, the luxurious Distinction Christchurch can cater for all manner of functions, events and conferences. Need Flexibility?